Today we will be talking about #3. We'll look at fixed and variable expenses, explain everything in a video and give you some tips to get started. If you want to charge more, check out our How to Charge More and Be Worth Every Penny blog post. We talked about a lot of things in that video. 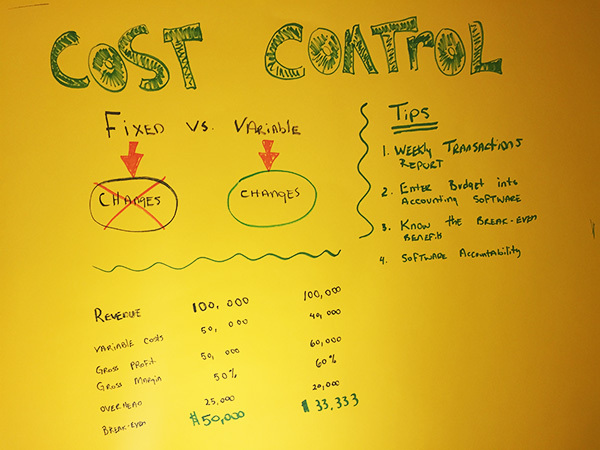 Let's break them down into actionable steps to control the fixed and variable expenses in your business. For reference, here's the picture of the board we used in the video above. Before you get started, have your accountant or CFO services firm print off a list of all the transactions for the prior month; group them by vendor to be more efficient. Then write "fixed" or "variable" next to each vendor. How do you know? If you incur the cost in order to sell a product or generate a service, it's variable; examples would include materials and direct labor. 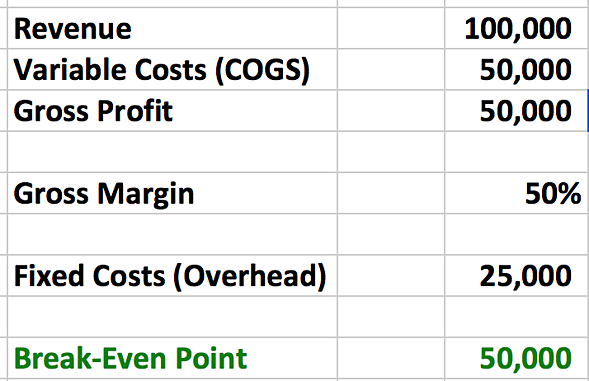 If you incur the cost regardless of selling your products or services, then it's a fixed cost; examples would include rent, insurance, and administrative payroll. Now that you've labeled your costs, create a budget for them and make sure to enter that plan into your accounting software. As you incur actual costs throughout the month, you can track your performance against your plan. Too many business owners create a budget in Excel and leave it there. These kinds of budget plans never work out. Make your software do the work. In the video, we assumed that the company had a product that cost them $5 to make. Given that they have $50,000 in variable costs, that would mean that they sold 10,000 units. Notice that by saving $1 on their cost per unit ($1 x 10,000 units reduces variable costs from $50,000 to $40,000) and by cutting $5,000 out of their fixed costs, we reduced their break even point by nearly $17,000 a month! 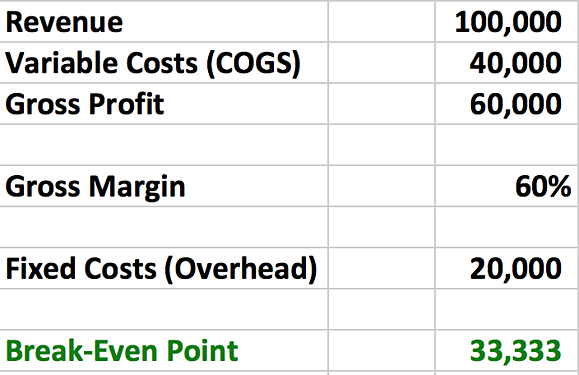 I hope this blog post and video helped you get a better understanding of the costs in your business. 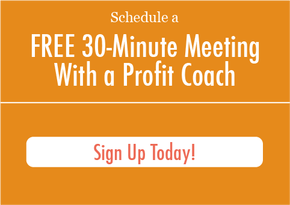 If you're ready to take your profits to the next level, don't forget to book a free 30 minute session with one of our profit coaches and CFOs by clicking the orange button below.